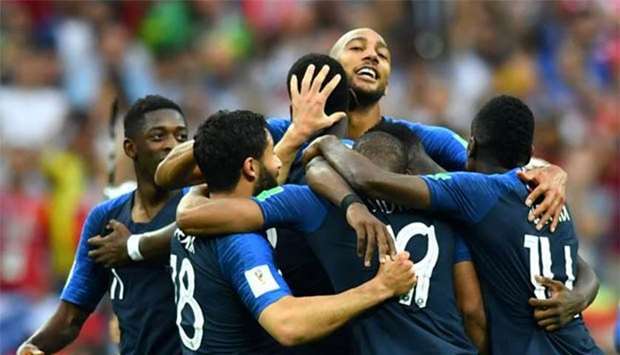 France are the World Champions, for the second time ever after easing past Croatia 4-2 in a thrilling FIFA World Cup Final at the Luzhniki Stadium in Moscow. Mario Mandzukic ‘s unfortunate own goal in the 18th minute sent France on their way against the run of play in the first half, but Ivan Perisic restored parity 10 minutes later to give Croatia a deserved equaliser. Antoine Griezmann ‘s contentious spot kick – which was awarded by referee Nestor Pitana after a lengthy VAR deliberation – put France back in front going into half time, and goals from Paul Pogba and Kylian Mbappe effectively wrapped up the victory in the second half. Didier Deschamps has won the World Cup as a player and as a manager, joining Mario Zagallo and the great Kaiser.